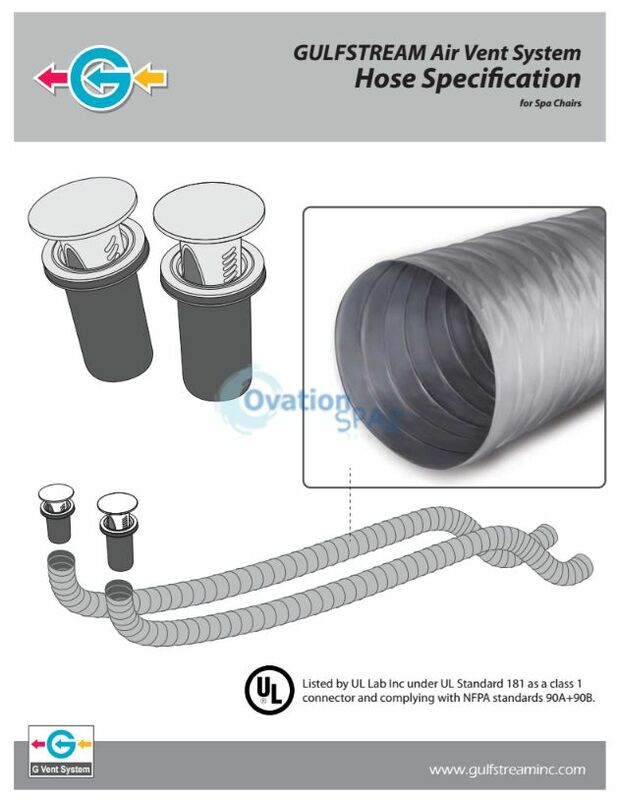 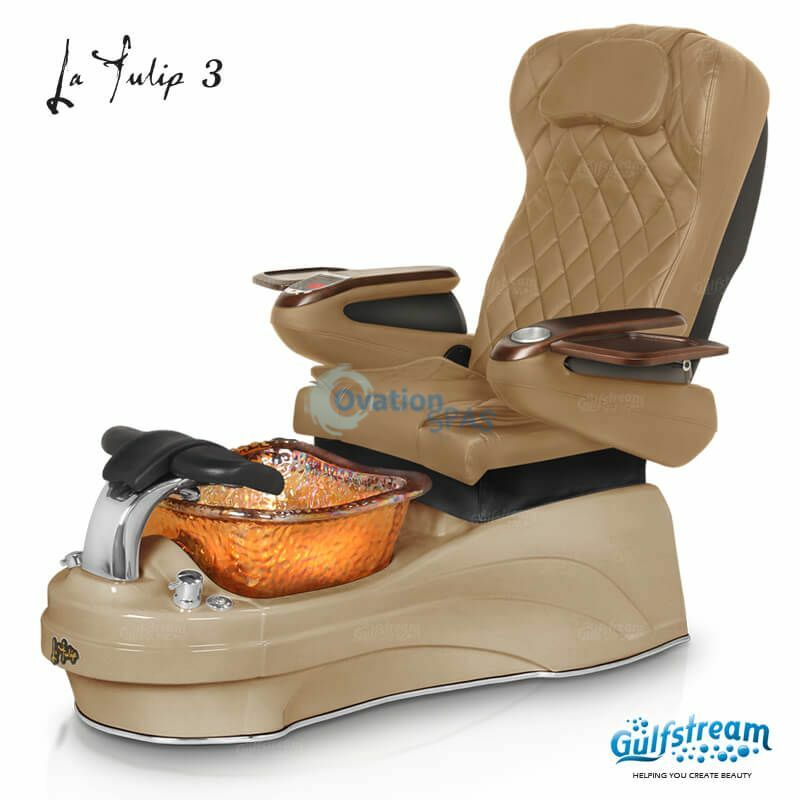 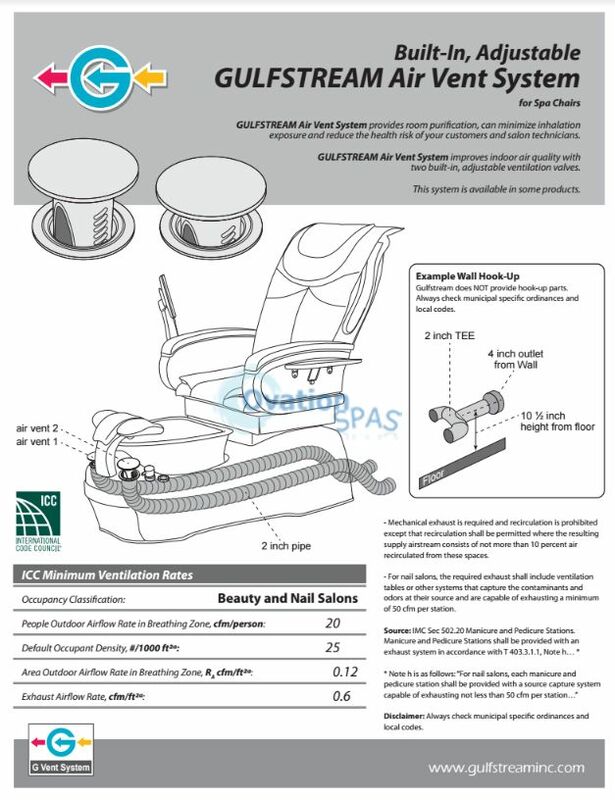 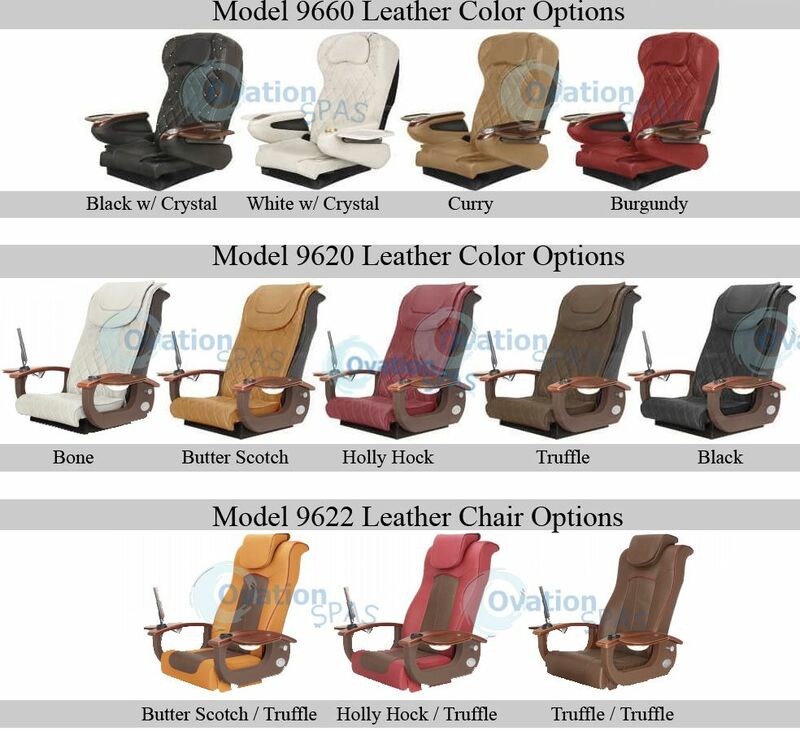 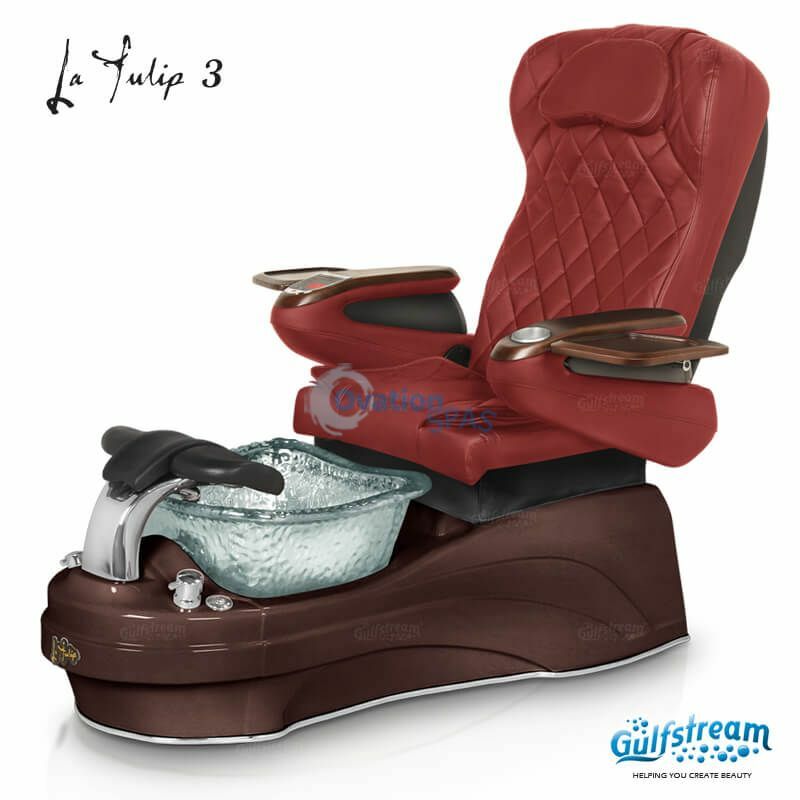 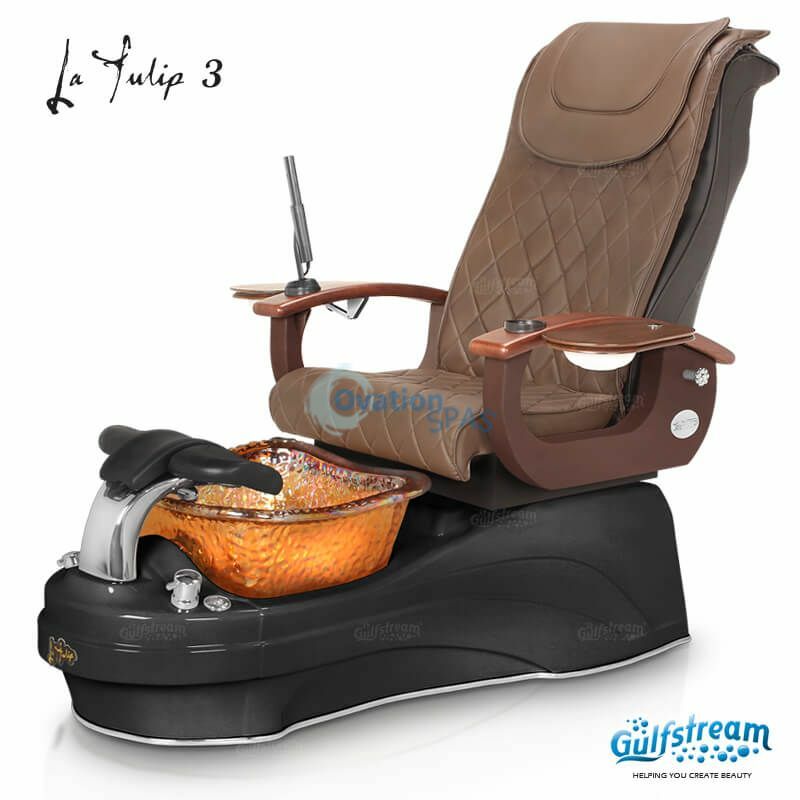 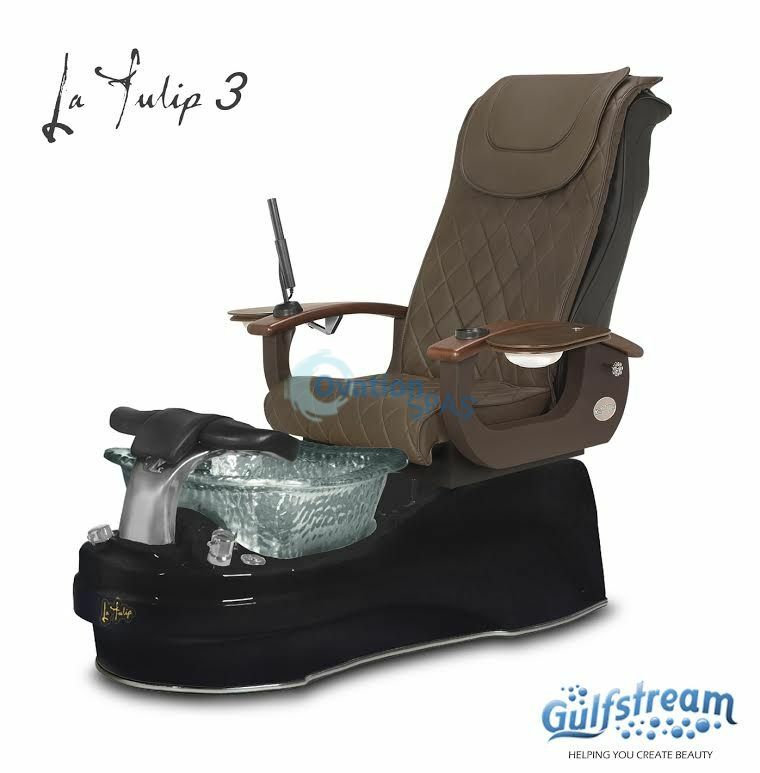 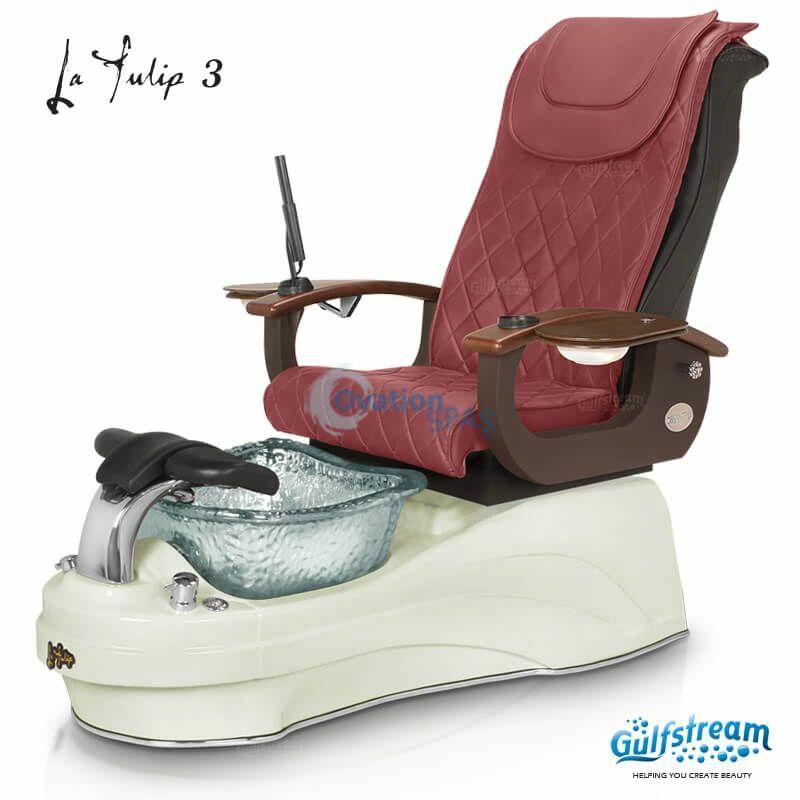 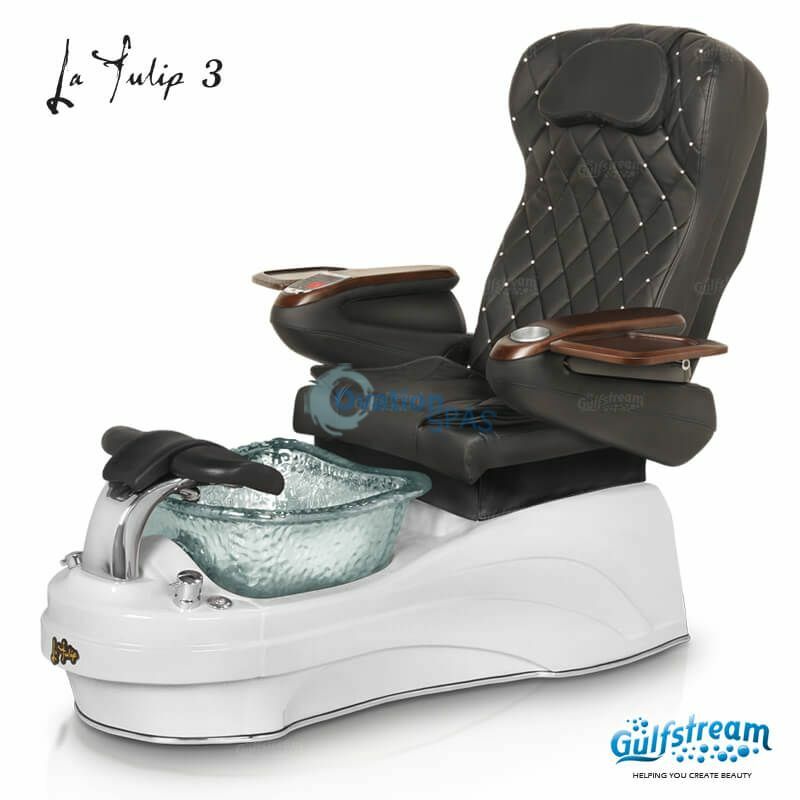 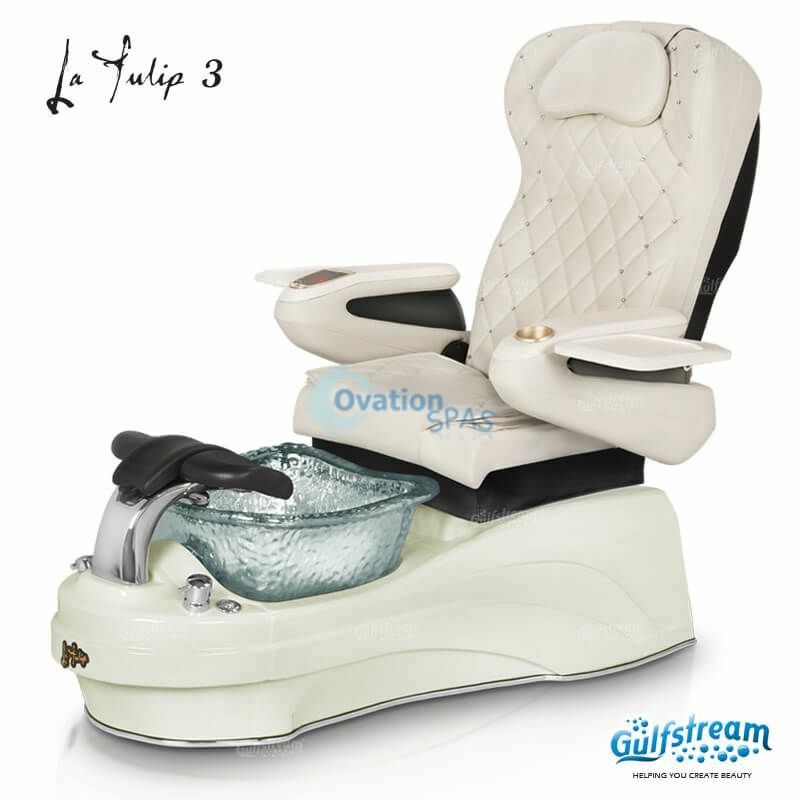 Free Shipping - La Tulip® 3 offers new exhaust vent for pedicure chair is required and recirculation is prohibited except that recirculation shall be permitted where the resulting supply airstream consists of not more than 10 percent air recirculated from these spaces. 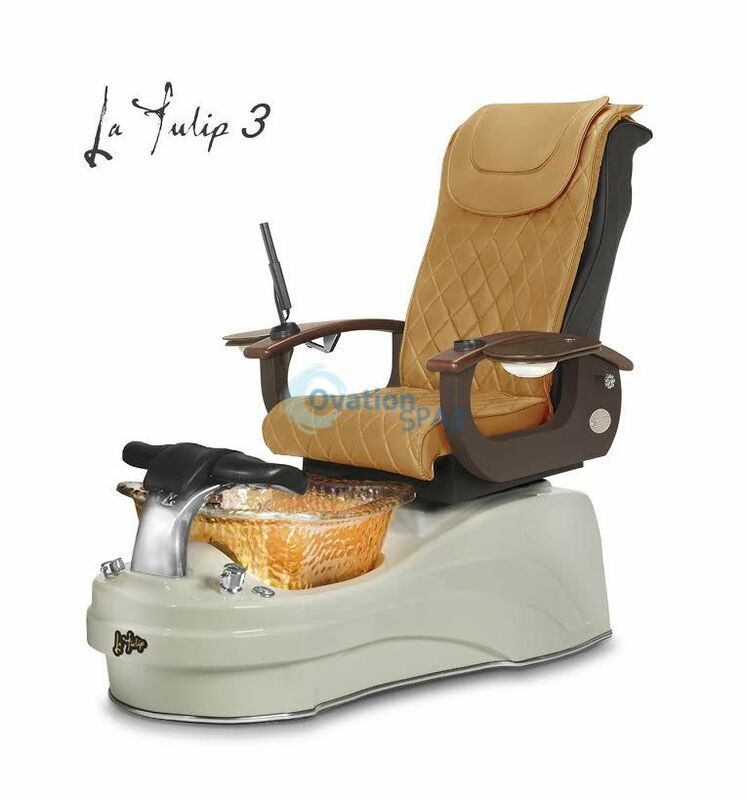 • Manicure trays to provide a stable platform for the technician to perform multiple services as the same time. 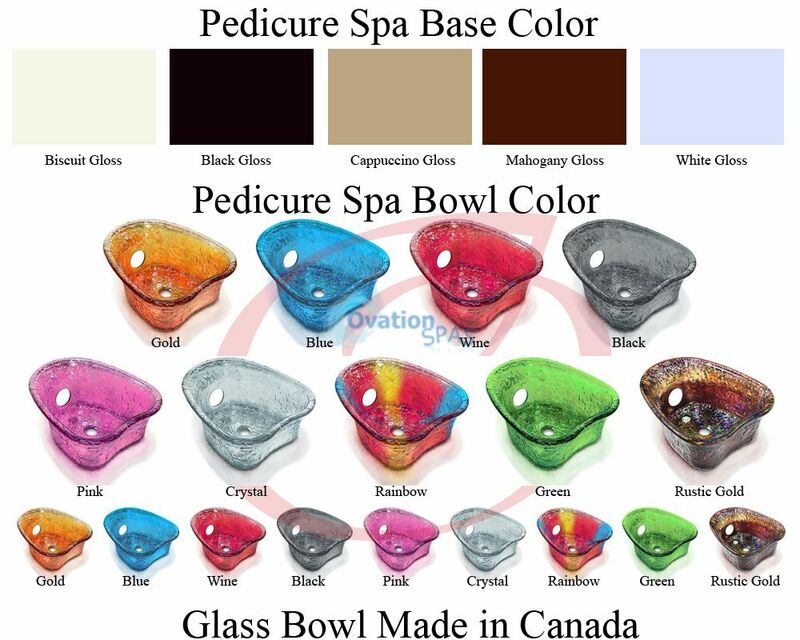 With finish to match chair accent design and clear gel-coat outer layer resistant to most chemical including acetone.